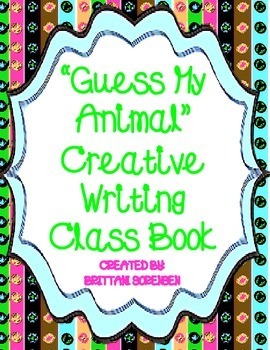 I use this product in my classroom to form a student-authored class book where students get to guess animals based on their characteristics. Students fill in the lines with clues about their "secret" animal. 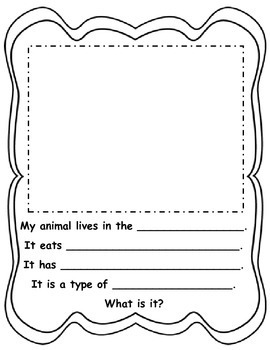 Above the text lines, students draw a picture of their animal, then the picture is covered with a black construction paper flap. 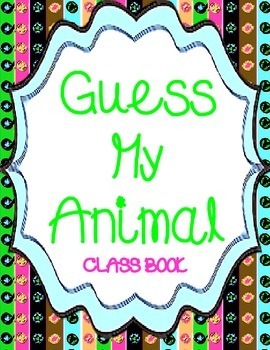 Once the class book is assembled, the students have the opportunity to guess each animal based on the clues. 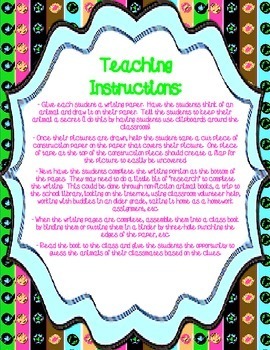 This product includes student pages, teacher instructions and class book cover page. The book can be read over and over by the students, and is great to display during Parent Conferences. Visit my TPT store to see more class book ideas!